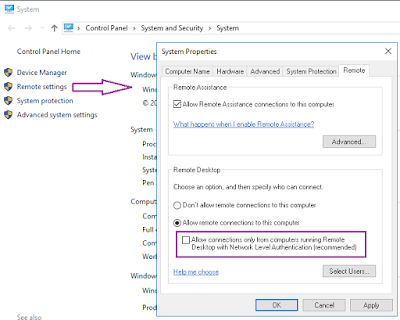 I am trying to connect a remote machine through Remote Desktop Connection (RDP client) from my local Windows 10 machine and receiving the error "An authentication error has occurred. The function requested is not supported. This could be due to CredSSP encryption oracle remediation." Connect the problematic remote machine from different computer (other than your current computer). In remote computer, right-click on My Computer (This PC) -> click Properties. 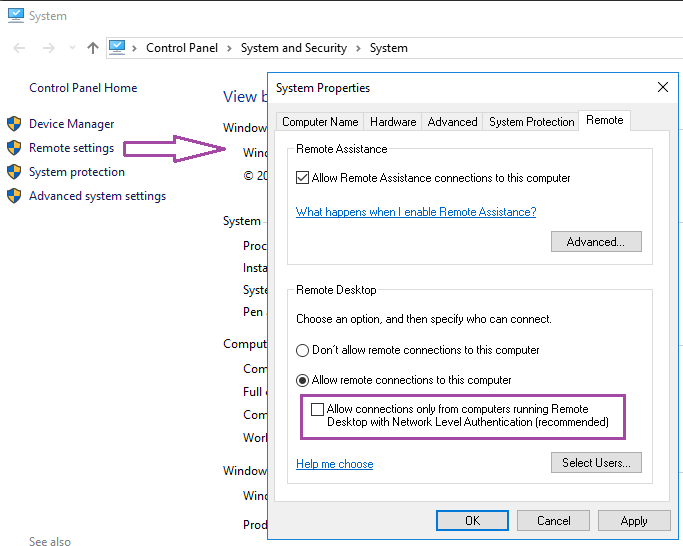 Now click Remote Settings and un-check the option "Allow connections only from computers running Remote Desktop with Network Level Authentication" and Apply the settings. Now try to connect from your local machine.